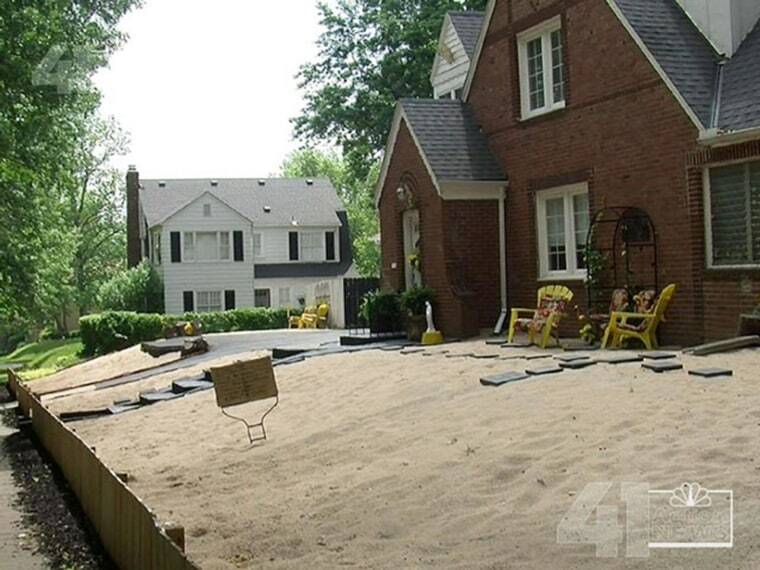 An elderly Kansas City homeowner replaced her lawn with 80 tons of sand, prompting mixed reactions from neighbors and several thefts. Georgianna Reid installed security cameras and issued a $2,000 reward for information on property stolen, including two cement alligators, from her unique lawn in the neighborhood of Brookside, Mo., according to NBC affiliate KSHB. But some neighbors said the real problem is Reid's front yard. “I think the house looks revolting with all that stuff out there,” Edwin Bisby, who lives down the street, told KSHB. At least two complaints have been filed with the city over Reid's home, but Reid said that at her age she was tired of dealing with a lawn. "Now being over 60, I've decided that I've owned the house for 33 years and that I wasn't going to mow anymore or water," she told KCTV 5.